Add a splash of educated goodness to your favorite CHARM IT! girl's charm bracelet with this yummy CHARM IT! One Smart Cookie charm. 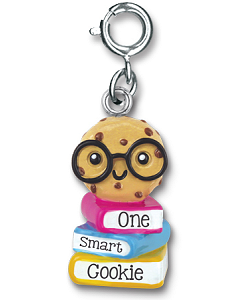 Featuring a stack of 3 books in hot pink, turquoise, and yellow declaring the wearer to be "One Smart Cookie" and an adorable smiling chocolate chip cookie sitting on top, this delightful One Smart Cookie charm is 3-dimensional fun for any charm bracelet. With a simple snap of a clasp, you can personalize your CHARM IT! jewelry with this delectable CHARM IT! 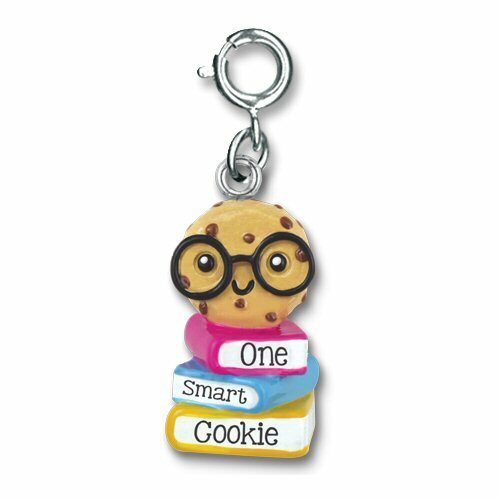 One Smart Cookie charm.